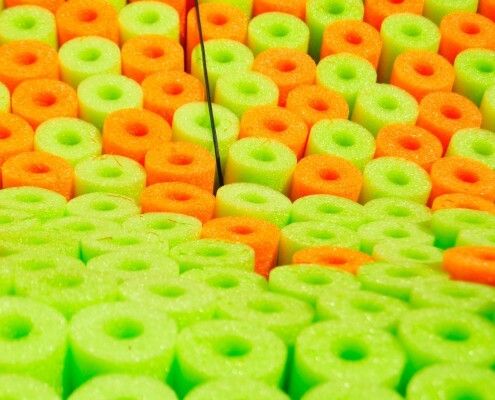 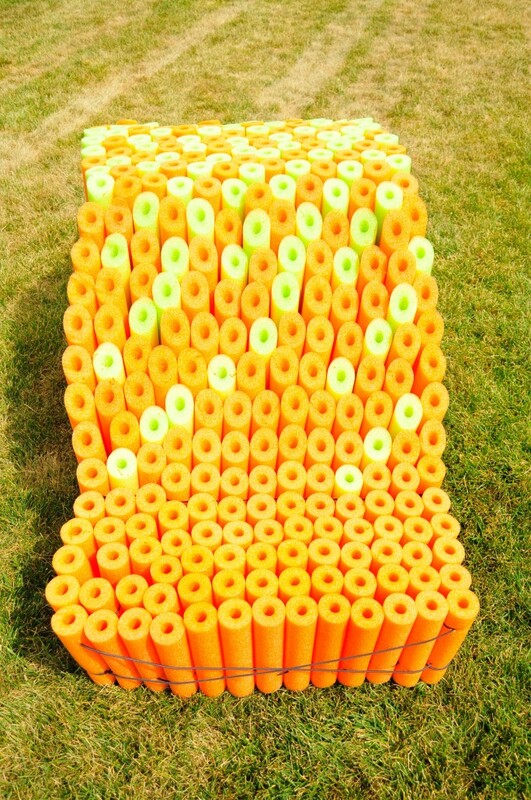 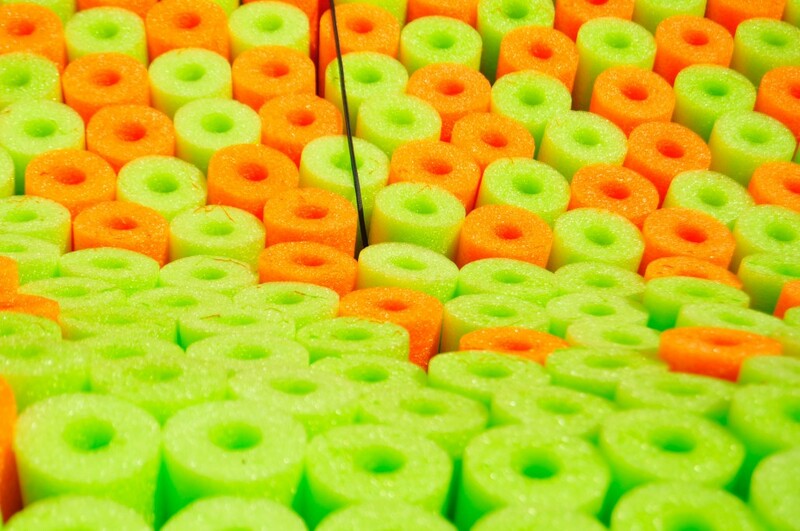 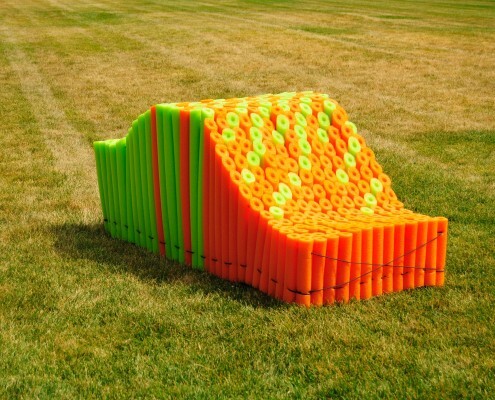 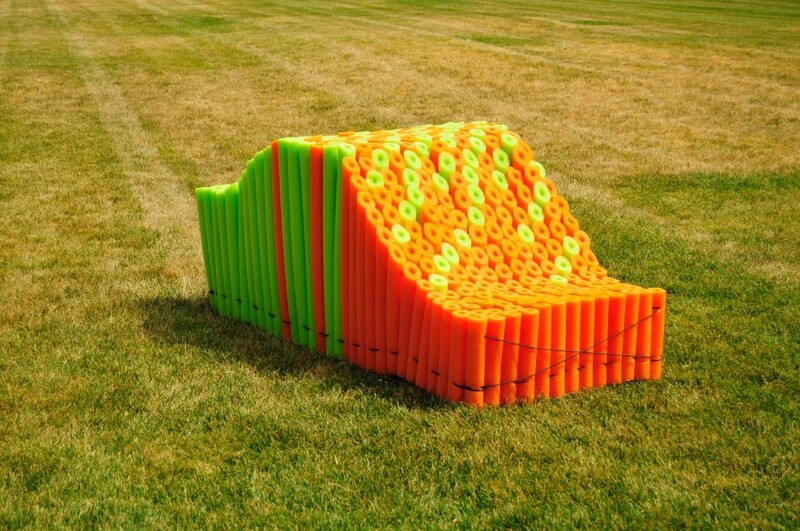 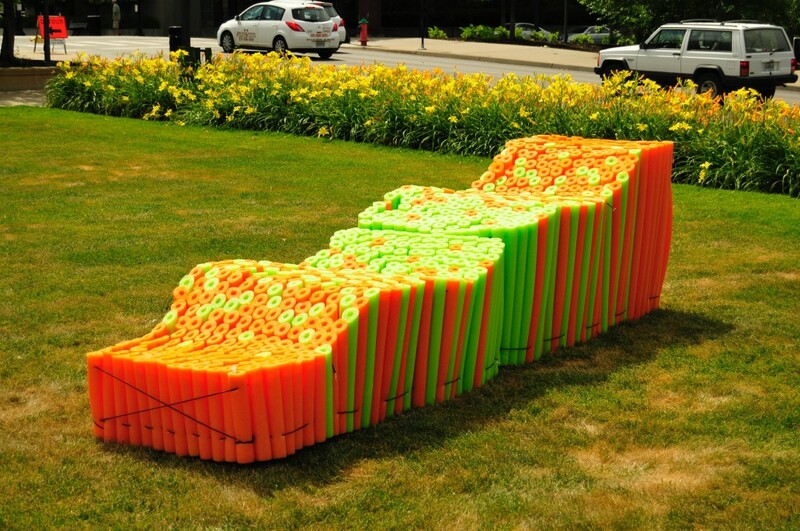 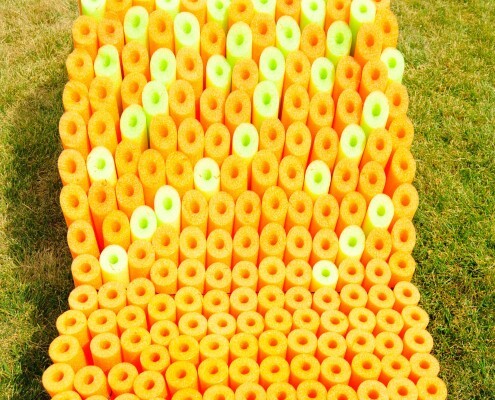 Superfurniture explores the materiality of perhaps the most iconic and silly summertime toy – the pool noodle. 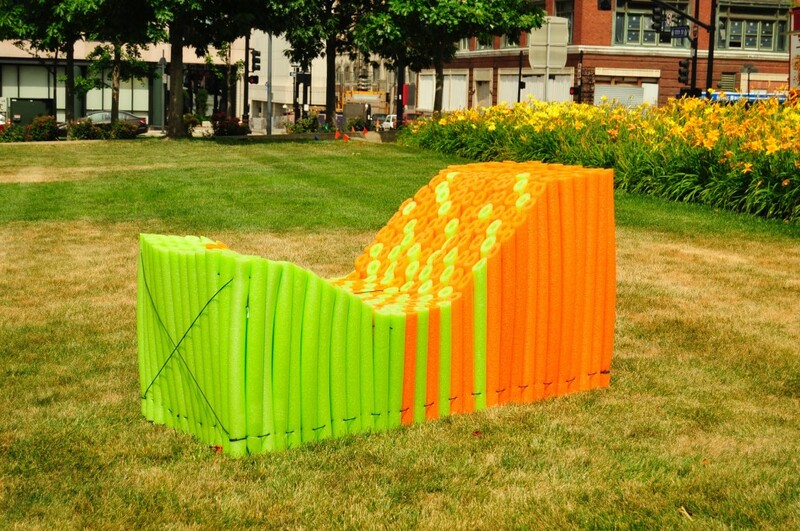 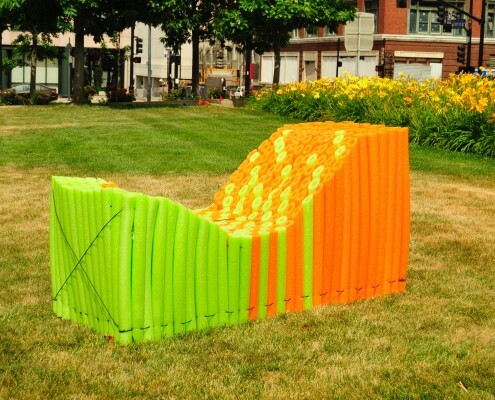 Removed from its familiar aquatic environment, thousands of noodles will collectively form Superfurniture throughout Ilus Davis Park. 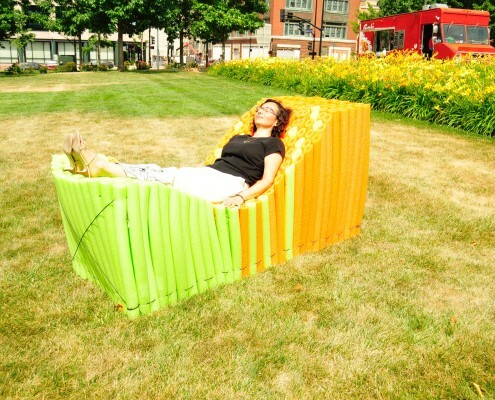 Chairs, couches, lounges, benches, ottomans, beds, chaises, and futons will stretch throughout the length of the park. 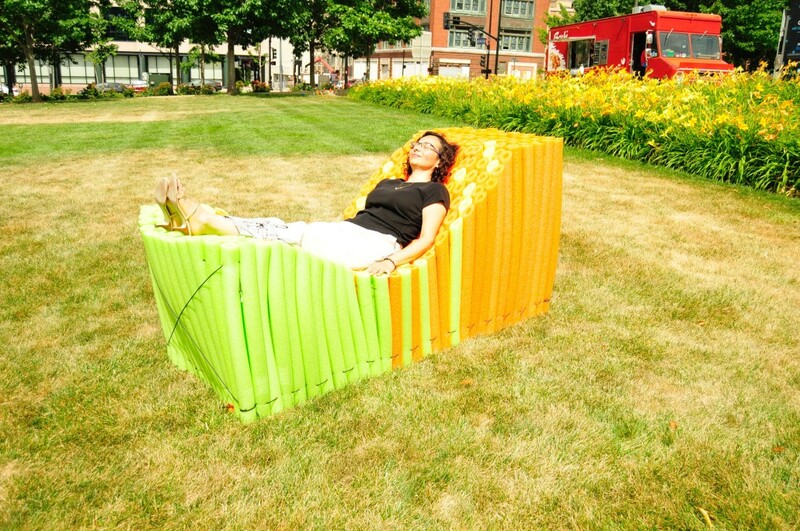 The Superfurniture will be carved from the packed noodles providing endless opportunities for park visitors to recline in a remarkably comfortable array of furniture sporting a likeness to some of the most iconic modern furniture from Charles and Ray Eames, Herman Miller, Marcel Breuer, Mies van der Rohe, and le Corbusier. 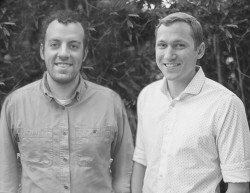 Garth Britzman and Matt Elsom, both Midwest natives, met at the University of Nebraska-Lincoln while studying architecture. 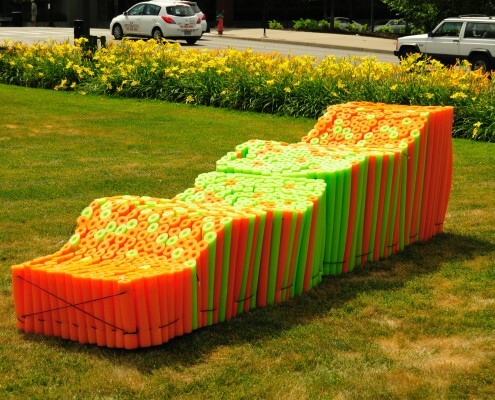 The duo share an interest in the built environment and how it shapes and is influenced by human culture. 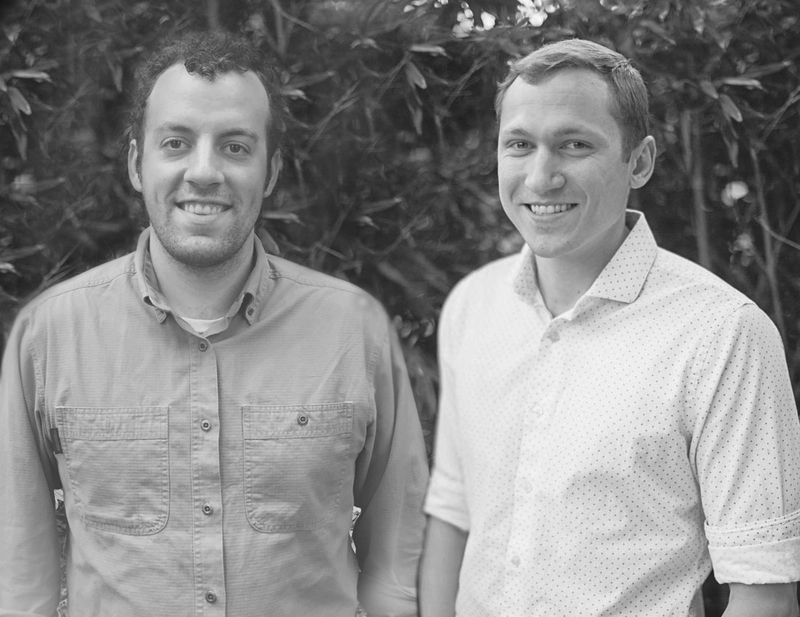 Matt currently works for a local architecture firm while Garth is completing his Master’s of Architecture at UCLA.